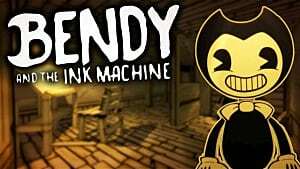 If you've played a mobile runner before, you're already familiar with Bendy in Nightmare Run's foundational mechanics. Swipe left and right to go left and right, swipe up to jump, swipe up twice to double jump, and swipe up and down to smash unsuspecting enemies. The game goes over all of this in the tutorial. However, there are a few things it glosses over. In this short guide, we'll go over those things, as well as a few general tips so like me, you aren't left scratching your head in the early game. Understanding these mechanics will make Bendy's later acts almost a breeze. 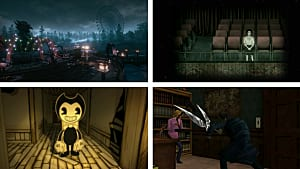 Bendy's levels are split into four "stories" of six acts each. Each story has a different boss who grows more powerful over the course of each act. For each act, the boss will chase you from the beginning to the end, assaulting you throughout the level with increasingly powerful attacks. Although every attack is different (some bosses throw tires and engines at you, while others use lasers and artillery volleys), these attacks are telegraphed ahead of time by a cross hair underneath Bendy. Don't move immediately, though, since the cross hair will always follow you for a second or two. Only move when the cross hair begins to flash. When this happens, it means the attack is locked into that lane. Not only can you easily dodge the attack this way, but you can also bait the boss into attacking an empty lane or one without a weapon or health pack. There are three lanes in Bendy in Nightmare Run: left, middle, and right. Bosses will spawn enemies in these lanes that not only attack you with physical and ranged attacks, but also act as shields for the boss. 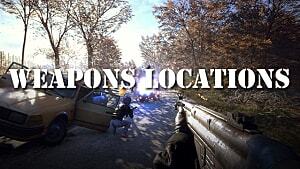 To hit ground-based enemies, simply move into their lane and throw a weapon. To defeat airborne enemies, move into their lane, jump, and throw your weapon. If you're on a raised gangplank and facing a ground enemy, it's best not to throw a weapon but instead stomp them. If you're facing an airborne enemy, all you have to do is throw your weapon and it will hit them. However, if you don't mind tons of enemies on-screen at once (the early acts of each story are beatable without killing enemies), then you can throw over a ground enemy or under an airborne enemy to hit the boss. It's a strategic maneuver the game doesn't tell you. 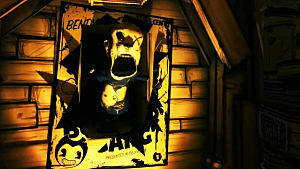 Bendy has access to three different weapons in Nightmare Run: a brick, and axe, and an anvil. The game teaches you how to throw (just tap the screen with a weapon in your inventory), but it doesn't tell you that each weapon deals different damage. The brick will deal one damage. 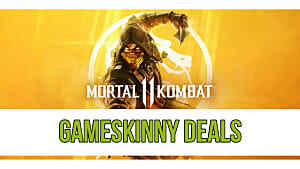 The axe will deal two damage. The anvil will deal three damage. Always go for the anvil when you have the choice. If you always go for the most-powerful weapon and throw it in the right lane, you won't need to buy upgrades (see below) because defeating the boss will be a cinch. If you want to progress through Bendy faster, don't focus on soup cans when you first play a level. Yes, there is a bonus for collecting a certain number of soup cans per level, but you get more cans by defeating the boss and not taking damage. Don't buy upgrades with soup cans if you're wanting to get through Bendy in any sort of reasonable time or don't want to spend real-world money to progress. Honestly, I went through the entire game only buying one upgrade and completed it pretty easily. Buying upgrades sets you back far too much to be worthwhile (except for Nightmare acts -- you'll want upgrades there). When you beat each story, you'll have enough (or almost enough) soup cans to unlock the next story. If you don't, then you can go back and focus on soup cans by completing each act's "collect cans" challenge. However, keep in mind that you only get act-clearing cans and challenge cans once; all other cans are based on the amount you pick up per act, and the multipliers aren't high. 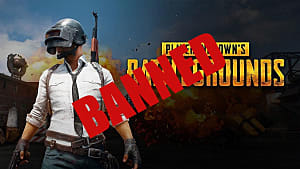 This means you'll have to grind, and no one wants to do that if they don't have to. 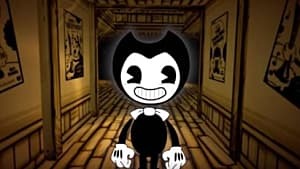 Other than patience, tight reflexes, and focus, that's all you need to know about Bendy in Nightmare Run. 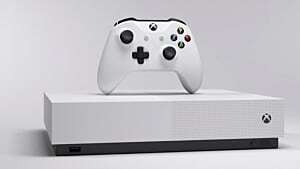 I don't go over the game's Nightmare acts in this guide because there aren't really any actionable tips (outside of the ones above) that will help you get through them easier. 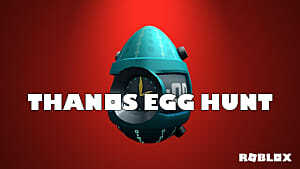 Just knuckle up and block distractions and you'll beat the game's hardest levels. 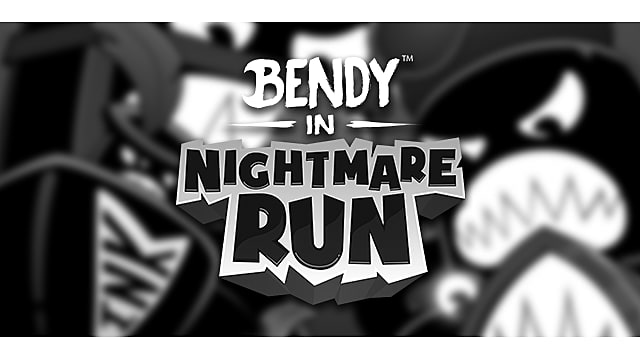 Let us know what you think about Bendy in Nightmare Run in the comments below!